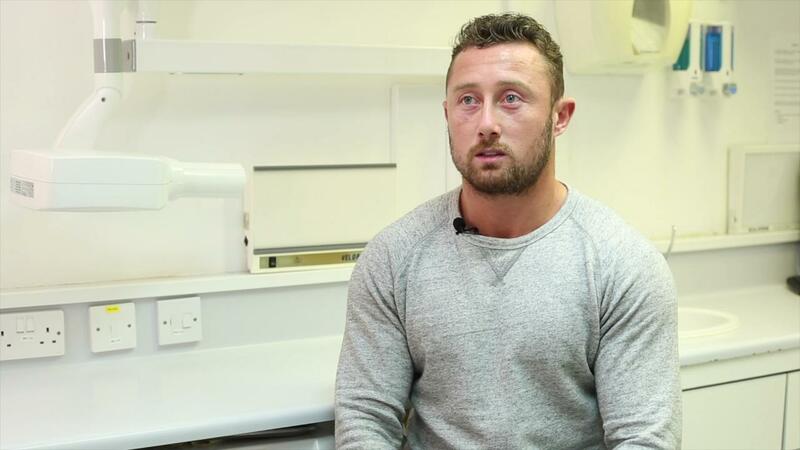 This system uses 3D technology to produce the aligners, which are then changed every two weeks so the movement of your teeth is precisely controlled. Treatment times are shorter and as there are no braces and wires, you’ll spend less time having adjustments. Comfortable, clear and removable – Invisalign transforms your smile without disrupting your life – something that over 6 million people worldwide have already discovered. You meet with an Invisalign Provider for a consultation about your treatment. 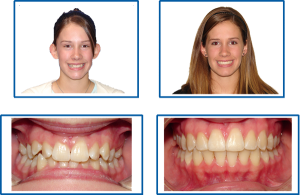 To create your personalised Invisalign treatment plan we take some photographs and impressions and send this to Invisalign. Once you and your Invisalign Provider have approved the treatment plan, the aligners are custom-made to fit your teeth. The number of aligners varies for each person. Every two weeks, you switch to a new set of aligners. 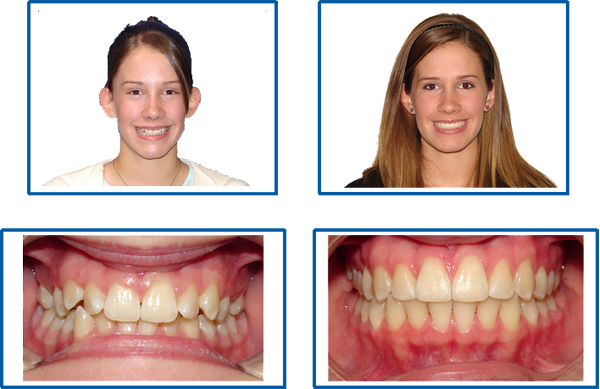 The aligners will gradually move your teeth towards their final prescribed position. This type of aligner is used in cases where there are slight dental abnormalities. It can also be used for amendment of minor relapse cases. This aligner is particularly good for small aesthetic improvements or where minor treatment is required – This could be treating slight overcrowding cases or perhaps that single annoying crooked tooth that has always been an eyesore in photos. You may need up to 7 aligners in total to complete the treatment. Treatment is often limited to the front 8 teeth. 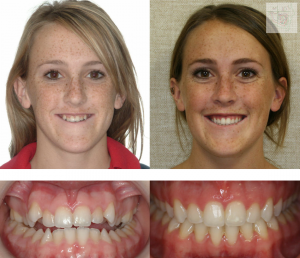 This aligner is perfect for a case in which the bite is considered normal, but the upper front teeth overlap the lower front teeth by a small amount. It is a basic, dual arch treatment that uses up to 14 removable clear aligners and allows patients a shorter more affordable treatment. Ideal for those who need the positioning of their teeth adjusted and straightened before cosmetic work whether that be veneers crowns or bridges. 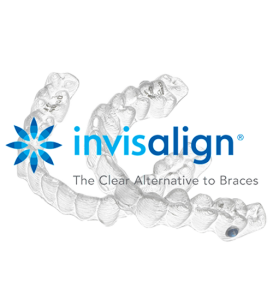 Invisalign Full is the original and most well-known aligner. It is used to treat the more complex orthodontic conditions. On average treatment time can range from 12 to 18 months but differs from person to person. In most cases it may be necessary to fit small attachments onto your teeth to help achieve certain movements. These are very discreet and your orthodontist will be able to show you some examples before you start your treatment. You can also remove the aligners briefly to eat, drink or for special occasions. Even before you start treatment you’ll know how long your treatment may take and what your teeth are expected to look like at the end. Unlike outdated fixed metal braces, there are no metal brackets or wires – this means that in most cases your treatment length is up to 50% shorter. Invisalign are effective for a wide variety of cases – their material SmartTrack makes Invisalign treatment effective for complex cases. Invisalign appointments work within your schedule with the surgery open from 9am-7pm. The aligners are made especially to fit your teeth and the shape of your mouth. Invisalign treatment enables you to view your virtual results and treatment plan before you even agree to go ahead with treatment – this way you can see how your teeth are expected to look when your treatment is complete. Invisalign Clear Aligners reduce damage to teeth and gums as metal braces contain wire and bits of metal that can puncture and/or scratch the insides of the mouth and gums. How much will Invisalign cost me? Price is an important factor when it comes to deciding for an orthodontic treatment. Invisalign cost is dependent on the specifics of your dental needs and can only be assessed during the course of your first appointment with an Invisalign-trained dentist. We strive to make dental treatment affordable to you and with our finance options you can pay as little as £1.64 a day for orthodontic treatment. Due to the varying complexities of individual cases the prices for Invisalign vary and will be finalised at your consultation. 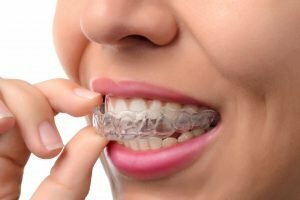 Are there any risks to Invisalign treatment? Slight tenderness may be experienced after switching to the next aligner in the series. This way we know things are working. 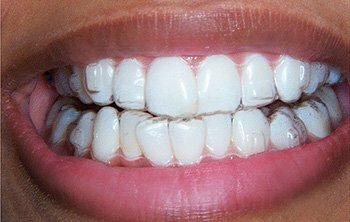 Teeth may require interproximal re-contouring or “slenderizing” in order to create space needed for dental alignment to occur. Aligners are not effective in the movement of dental implants. We will need to check the stability of all other existing dental restorations (e.g. crowns) to ensure they aren’t dislodged. How do I look after my aligners? Cleaning Invisalign aligners is easy as they are removable. When you brush your teeth, you should be cleaning your aligners as well. You can use antibacterial soap on them, using a soft toothbrush to clean the surfaces and rinsing with lukewarm water. Don’t use toothpaste as it can scratch your aligners. Once a week, we recommend soaking your aligners using Retainer Brite. Some foods and drinks can cause your aligners to stain so you may want to remove them when you drink something other than water. Whenever your aligners are out of your mouth, keep them safe in their protective case. 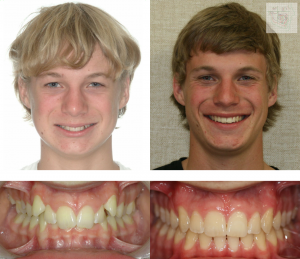 After any type of orthodontic treatment, you will need to wear a retainer to keep your newly straightened teeth in line. We offer different options for a retainer – you can choose to have a fixed retainer behind your teeth or a clear, removable retainer which you will be expected to wear at night.